As projects move from design through bid stages, our experience and attention to detail will guarantee accurate quotations, budget estimates, and schedule commitments. 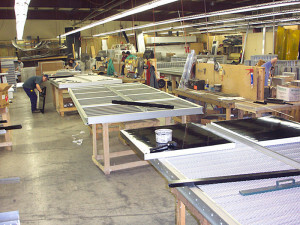 This experience becomes more essential as the project advances through fabrication and delivery. We have continuous calls with our suppliers' manufacturing plants to insure that all products delivery schedules and specifications are on track per your expectations. In the finishing phase, our suppliers utilize state-of-the-art, computer aided optical analysis systems to ensure accurate and reliable color matching.